Seeing a man a few months shy of having walked this earth for three quarters of a century, yet still filled with the unbridled joy of a toddler, despite doing something he’s done thousands upon thousands of times before, is quite literally, AWE INSPIRING!!! I can only pray to be as filled with as much life as my dear friend Heiko Bleher when, God willing, I make it to the 3/4 of a century mark! I’m surviving my second expedition with Heiko to the remotest of the remote Amazon. An area straddling three countries Colombia, Venezuela and Brazil. For me it was the second “trip of a lifetime” with Heiko, my first being in the fall of 2016 to West Papua Indonesia. For Heiko, a scientist who keeps impeccable records it was precisely his 959th expedition in pursuit of his life’s work…the documentation of our planets freshwater fishes and the ecosystems they inhabit. Heiko is literally a living legend! A scientist and explorer who had the good fortune to come of age during the dawn of aviation. That occurrence, coupled with Heiko’s lifelong passion, have coincided to make him quite possibly histories most traveled man (just let that sink in for a moment!) 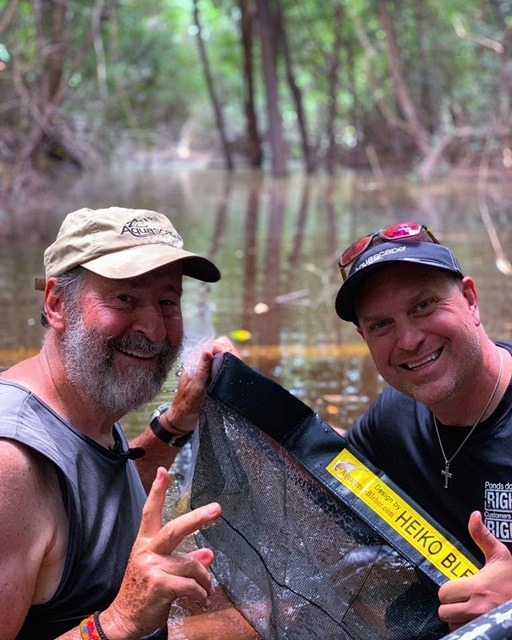 Heiko’s case for that impossible to claim Guinness Book of World Records is that he’s been to more countries than exist (smaller countries come and go) while documenting a whopping 27,000 of the planets freshwater fishes during those expeditions! The driver of Heiko’s pursuit is as simple as it is sad. The documentation of our planets disappearing natural places. Where once impenetrable Rainforests have given way to slash and burn agriculture. And with it all the plants and animals that nature painstakingly created over millennia in perfect symmetry! Documenting every environmental aspect of each Ecosystem so that it can be replicated for those same plants and animals in man made environments that he has dubbed Bleher Biotopes. It’s this quest that is the driving force that fuels his unquestioned zest for living! 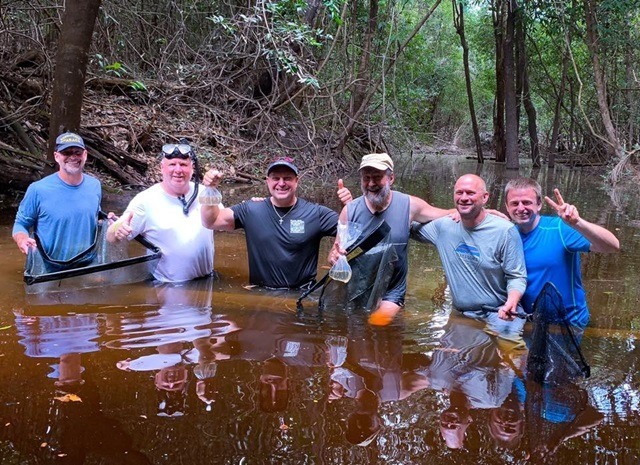 It is nature lovers like me that “tag along” on his journeys funding the adventures that will hopefully produce new species of fish that can be brought back and bred successfully for the Aquarium hobby. Success means cataloging every detail of every ecosystem with copious notes and the accompanying supportive photographs. The goal is to have all the scientific parameters to replicate the fishes natural habitats in captivity to assure success with breeding. There is little doubt if history is any indicator, that all these fragile ecosystems will be gone maybe not in Heiko’s lifetime, but sadly in mine. If anything, the destruction of these unique habitats is increasing not decreasing, proportionate to our planets exploding human population. This makes the success of Heiko’s work even that much more critical in preserving the records of these unique places and species. His next ambitious venture? An app showing every location he’s ever explored from the pictures and notes, to the regions plants, animals and of course fish. Many now gone but because of his often singular efforts, documented for generations to see, study and maybe one day even work to reestablish with their captive bred brethren. A real life Indiana Jones who’s efforts although celebrated today in scientific circles, tomorrow will be enjoyed by generations to come! My friend, the one and only Heiko Bleher. Newer Post Use My Brain, Not Yours Older Post The World Needs to Take a Big, Giant, Fat, CHILL PILL!! !